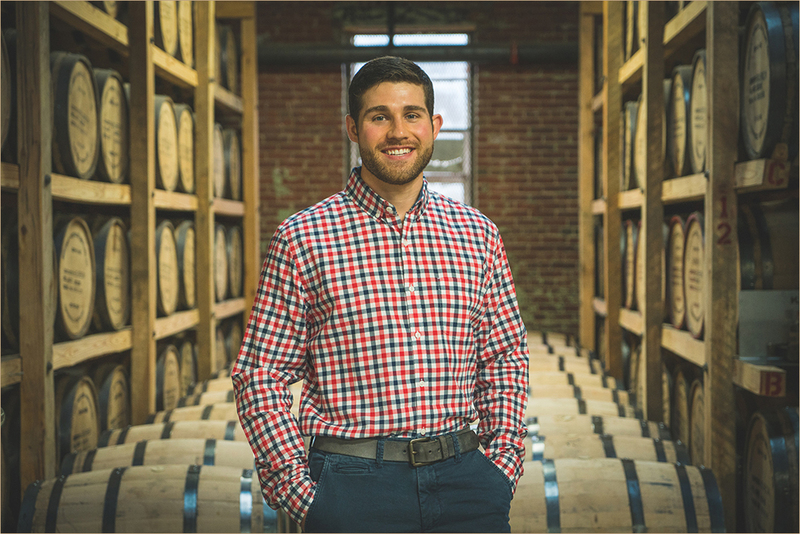 Caleb Kilburn Master Distiller - Peerless Distilling Co.
Peerless Head Distiller Caleb Kilburn was raised in Salt Lick, Kentucky on his family’s dairy farm. 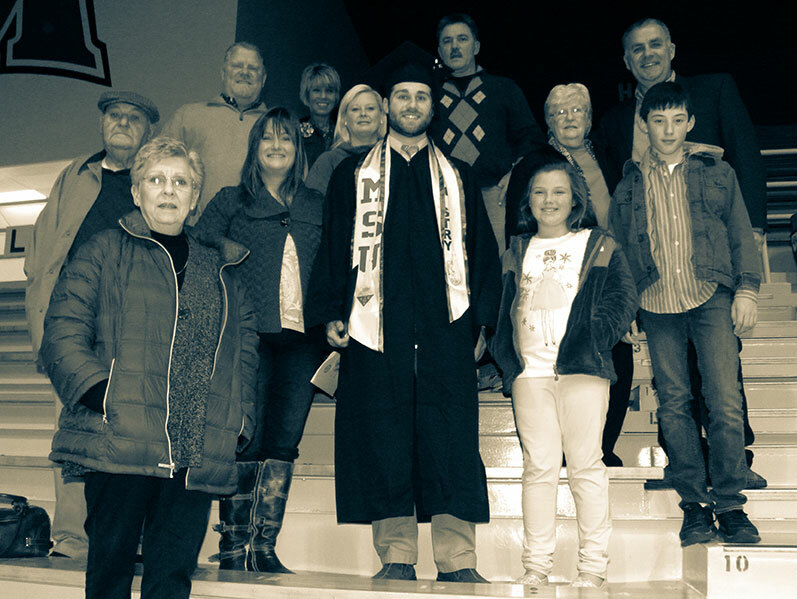 These years taught him the meaning of hard work and endowed him with an impressive array of mechanical skills, which would prove invaluable later in life when he was called to help restore Kentucky Peerless Distilling Co.
-Caleb Kilburn, Master Distiller, Kentucky Peerless Distilling Co.
Caleb graduated valedictorian of his high school. He pursued his passion for the sciences at Morehead State University, where he excelled at biology, chemistry, physics, engineering and math. He became fascinated by distillation when he discovered how the process brought together all of his favorite disciplines. During a distiller’s course offered by the Distilled Spirits Epicenter, Caleb befriended instructors who would later become his mentors. Rob Sherman, the president of Vendome Copper and Brass Works in Louisville, Kentucky, Pete Kamer, the retired head engineer of Barton Brands in Bardstown, Kentucky, and Randy Allender, Distillery Consultant; each provided Caleb with educational opportunities and advice over the course of the next year. 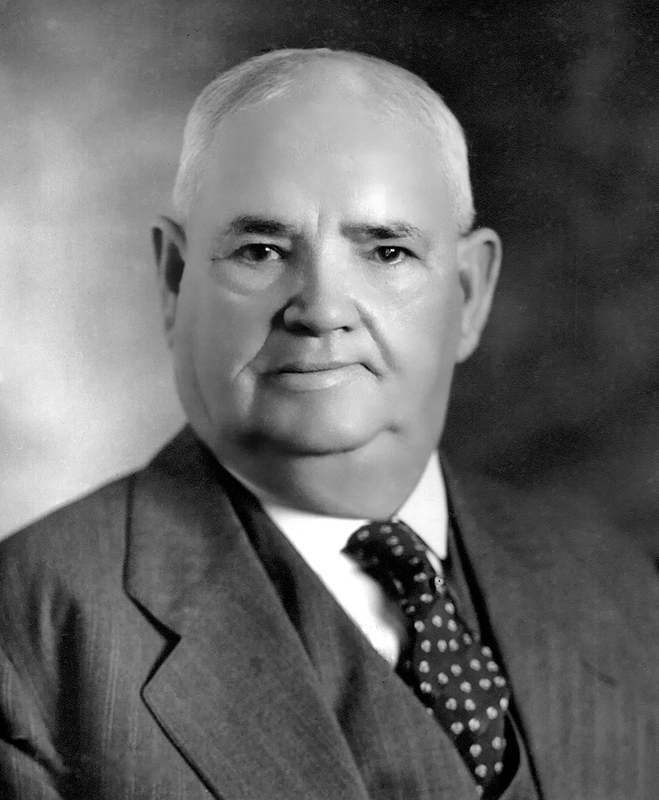 Each mentor eventually recommended that Caleb work with the newly reviving Kentucky Peerless Distilling Company. "I met Caleb on the first day of the Epicenter six-day class. Before the class even started, he was already asking questions about the equipment and how it worked. On the still there was a mistake in how it was piped. About the second day of class, Caleb found the mistake and asked why it was piped the way it was. 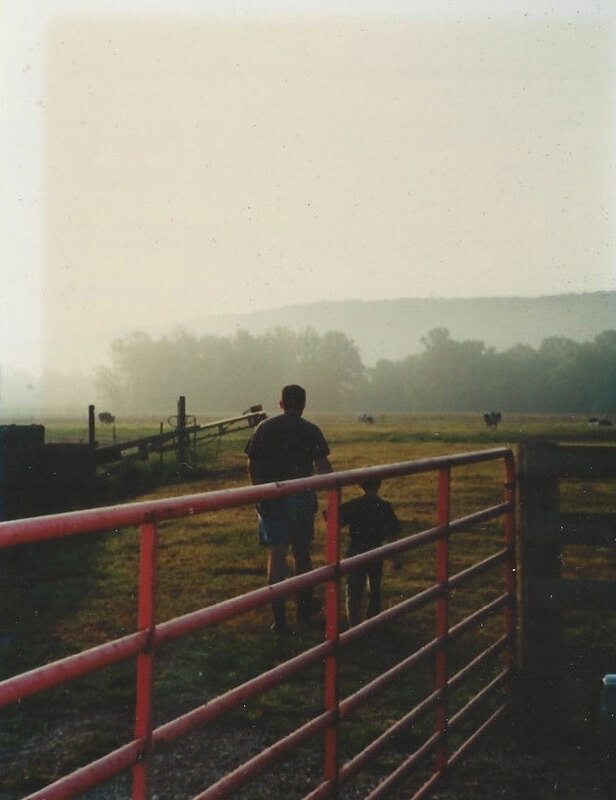 I could tell by the intensity of his desire to learn the distilling industry and his good intellect that he would make a great distiller someday soon." 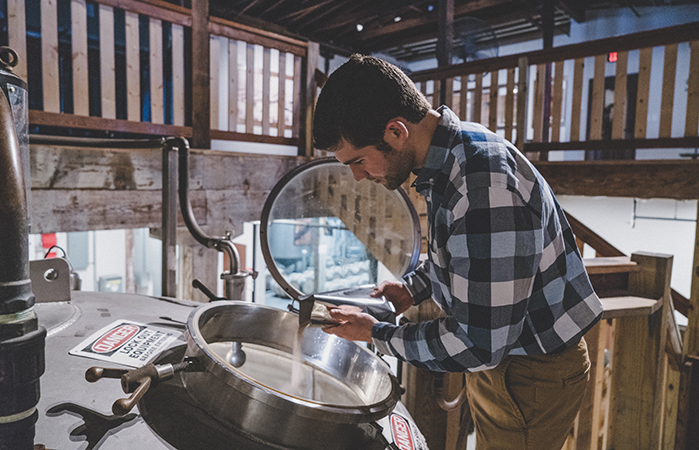 When Caleb’s natural sensory skills became apparent, it was only a matter of time before he was chosen to craft the inaugural rye whiskey for Peerless. 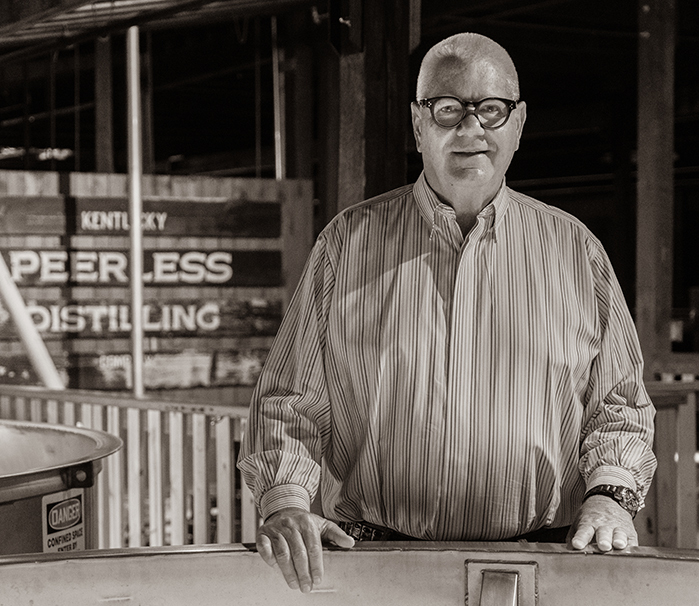 By the end of summer, Carson and Corky Taylor, the family ownership of Kentucky Peerless, formally offered Caleb the position of head distiller. 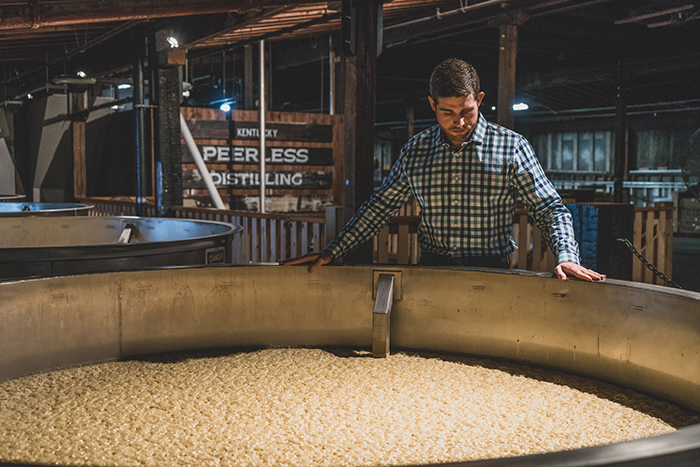 After several months of preparation, on March 4, 2015, Caleb distilled Peerless’s first barrel of whiskey in 98 years, which legitimized his position in a moment that he claims to be a dream come true. In the fall of 2017, this dream continued as Peerless’s Kentucky Straight Rye earned industry-wide respect when it was named the No. 15 whiskey in the world by Whisky Advocate at just two years old. 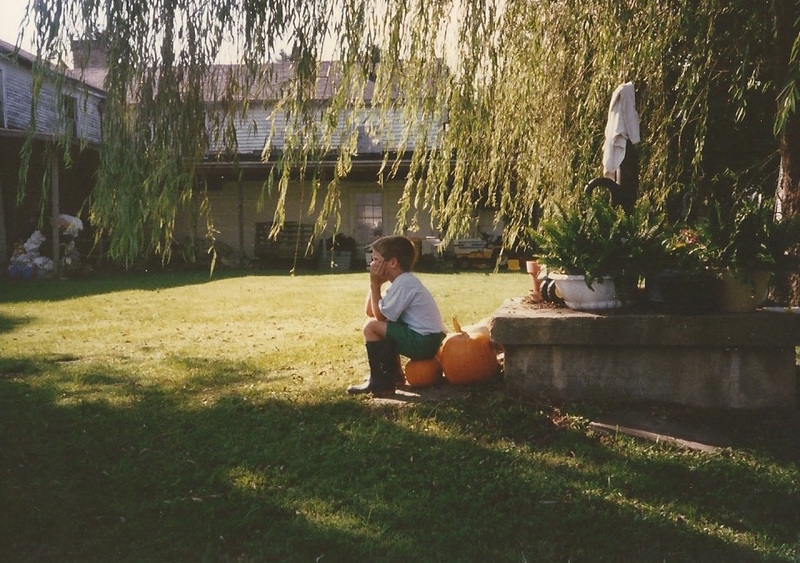 Like Peerless Founder Henry Kraver, Caleb is an innovator of his generation. His intense understanding and passion for the craft have resulted in bold improvement and award-winning spirits. Despite his uncanny intellect and meteoric rise in the craft spirits’ world, Caleb remains modest regarding his accomplishments. Caleb never considered himself a master distiller. He held that revered title for his idols and heroes. Though humble and unassuming, Caleb is nothing short of a prodigy. Humility aside, as one of the youngest distillers in the history of the industry, he has crafted spirits that rival the finest in the world. In late December 2018, Caleb was honored with the title master distiller as Peerless released its 3-year Rye Whiskey and continued to be recognized for its tremendous quality and craftsmanship. 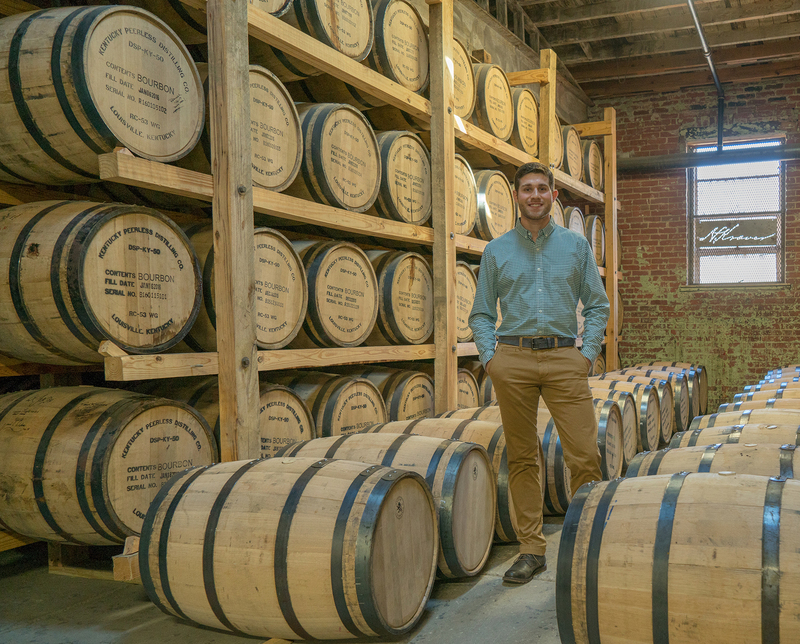 “I am proud to announce that Caleb Kilburn, our head distiller, has earned the distinction of Master Distiller. Caleb distilled our first barrel of bourbon March 4, 2015. On November 20, 2017 Peerless Rye Whiskey was ranked 15th best whiskey in the world and No. 1 rye whiskey. On April 23, 2018, our rye whiskey was ranked top rye by Whisky Advocate again. - Rob Sherman - Vice President Vendome Copper & Brass Works Inc.